On January 9th 1908 the second Sydney Rugby League team was created. Before the Tigers were formed at Balmain Town Hall, before the Rabbitohs gathered in Redfern, and before Paddington Town Hall announced that the Eastern Suburbs Region would participate in the newly formed competition, the Glebe District Rugby League Football Club was formed. They would fall by the way side in less than 25 years, like so many other teams both before and after them, but none has quite the unique story that the Dirty Reds do. Growing up, I didn’t have avenues such as Wikipedia, or even the internet, to allow me to research all of the topics I found interesting. The internet wasn’t a big thing until around the time I finished High School. Wikipedia didn’t exist until 3 years after I finished High School and it didn’t reach a total of 1 million articles until 8 years after I finished High School (there’s currently over 4 times that many articles on Wikipedia). Consequently, I am still catching up on all the things I would have wasted my youth learning about* and in researching my highly indulgent last article, I finally got a chance to look into the early days of the NSWRL. My vague childhood memories of those early teams included Glebe, as well as Cumberland, Newcastle, Annandale and University. But in my mind they were all there in 1908, were all rubbish and in turn all left the comp within the first few years. That description is accurate for some of the clubs, but for Glebe I was well off the mark. Those are the other folded teams of the Pre-WWII era. You can probably understand why I had lumped them all in together as a bunch of awful teams that the competition was better off without. They obviously participated in the first season back in 1908, sitting in a three way tie for first position on the ladder heading in the final game of the season against next door neighbours Balmain. They lost that final match and finished the season in third. For some reason the finals format that season had them playing the first placed Rabbitohs in a knockout semi-final, whilst the second placed Roosters got to play 4th placed North Sydney. Glebe had beaten Eastern Suburbs (11-5) in their only encounter of the season – and it was the only game that the Roosters lost all year. Unfortunately the Dirty Reds were not good enough to beat South Sydney and missed out on a place in the first ever Grand Final, but if it weren’t for this scheduling quirk, they may have played at the Agricultural Showground at Moore Park on the last Saturday of August 1908. The following 2 years saw Glebe drop off into 5th place on both occasions, but 1911 was a big year as they finished the regular season with the minor premiership after 11 wins and 3 losses as well as both the league’s best attack and defence. This was due in no small part to the emergence of the teenage sensation and one of the greatest players ever to play the game – Frank Burge. Burge made his Rugby League debut for Glebe that year as a 16 year old Second Rower. Think about that. A 16 year old second rower. He scored 7 tries that season, but what’s even more amazing is that he had switched codes at the start of the year from Rugby Union – where he started playing first grade two years earlier at age 14! Burge was named on the bench in the Rugby League Team of the Century in 2008 and he was quite simply a phenomenon. Burge turned 17 about a month before Glebe took on Eastern Suburbs in the Grand Final that year and it took another great of the game – Dally Messenger – to deny Glebe their first ever Premiership win. In 1912 Glebe were denied their chance for revenge. They finished the year in second place behind the Roosters however the rules were changed so that the team that finished the season on top of the ladder were declared the Premiers automatically and a final was only to be played if two teams finished on equal points. If this had been in place the season before, Glebe would have been the Premiers. 1913 saw Glebe slip to 4th place (which is still respectable, and downright outstanding compared to the other teams mentioned in this article) in the league, but managed to win the City Cup, a tournament played at seasons end, to give them their first real silverware. 1915 was the real emergence of Frank Burge as Glebe finished the season in second place again and the now 20 year old forward finished the season as the top try scorer with 20 tries – in just 14 games. 1916 saw Glebe finish 1 point off top spot with by far the league’s best attack as Frank Burge continued to grow into the statistical anomaly that defined his career, this season scoring 22 tries in the 14 games played. 1918 had Frank Burge breaking his own try-scoring record, this time with 24 tries in 14 matches, but Glebe were once again just off the pace in third spot. 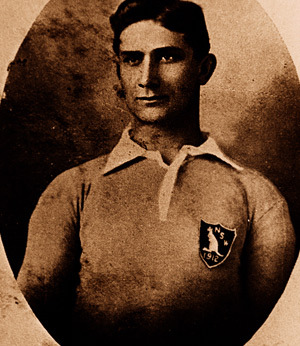 In 1920 Frank Burge was the leading point scorer in the competition as he took on goal kicking duties as well as setting the still standing record for most tries in a game with 8. That’s right, 8. But they only managed to finish in 3rd spot – the same position they would finish for the shortened 1921 season. They had proven to be a good team, but not quite the best. The 1922 season was the longest season yet at 16 matches and Glebe finished on equal points with the North Sydney Bears at the conclusion of the regular season, which under the aforementioned rules meant that they would be pitted against each other in a Grand Final match to determine the Premiership. North Sydney had won the Premiership the previous season and rode their momentum through to a thorough Grand Final victory over the Dirty Reds and Glebe were once again denied their maiden premiership. In 1926, the finals series was brought back to life with the top four teams going through to the finals. Glebe finished in second place and took on the perennial easy beats University in the knockout semi-final. As fate would have it, University would win their first and only ever semi-final match comfortably against Glebe, who had now written their own narrative as always being the bridesmaid, but never the bride. In their last 3 seasons in the competition (1927-29) Glebe would spend most of their time battling to avoid the wooden spoon, which they did manage to do. A small feat, yes, but it meant that they finished their existence without ever ending the season in last place. That is a record that I think a lot of teams would take even if you weighted the positioning to adjust for the extra sides that are now in the competition. The Cowboys have been around for almost as long as Glebe existed now (this is their 18th season) and if you could give their supporters a choice between their current record (On the brink of just their 6th top half finish with 1 Grand Final loss and 3 wooden spoons) or give them Glebe’s results from their first 18 seasons (12 top half finishes with 2 Grand Final losses and no wooden spoons) I know which one they’d be choosing, and the Cowboys are considered a fairly successful team in terms of their on-field performance. Wikipedia mentions rumours of a conspiracy in voting that forced them out of the competition, with an alleged deal being done between Balmain and Souths to rid the competition of Glebe and consolidate their respective territories. However this doesn’t really make sense. Obviously I would expect that Balmain would absorb some of Glebe’s territory, but Sydney University would surely also gain territory as well as Newtown being between the South Sydney and Glebe boundaries meaning that an agreement with Souths would not make sense from the Rabbitohs perspective. As you can imagine, first-hand accounts from that time are few and far between, so I did what any person would do in my search for Rugby League knowledge. I asked David Middleton, who (of course) was a phenomenally useful wealth of information on the subject. It all started back in the 1917 season when Glebe were docked 2 points for fielding a player who was not residentially qualified to be playing for them (Dan Davies). Back then, to play for any club, you had to be living within their boundaries. There were no salary caps and very little in the way of mercenary behaviour from players because signing for a new team would require moving your whole family to the other end of the city, which wasn’t as simple back then as it is now. Dan was a former Newcastle player from their earlier seasons and he moved to Sydney and was quickly brought in by Glebe. He had to live in the Glebe area for 28 days before he was eligible, however Davies was technically living in Annandale which is a bordering suburb of Glebe. But that was not enough. Much like the maligned Adam Banks*** in the Mighty Ducks series, the borders were the borders for a reason and he was playing for the wrong team. They may have even gotten away with it (at least for a while) if they didn’t rush him into the team immediately following his required 28 days of residence to make his debut against – you guessed it – Annandale. Glebe disagreed with the ruling of the NSWRL hierarchy to strip the 2 premiership points off them and it led to a player strike later in the season and completely derailed what was a promising season until then, as they won only 2 of their remaining 6 games after this. The ‘rebel’ players were initially threatened with life bans but were re-instated before the beginning of the 1918 season, except for Dan Davies who did receive a life ban from playing Rugby League in Australia. 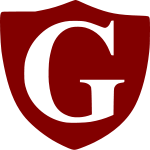 It was the beginning of what would be an ongoing war between Glebe and the League – a war which could only ever be won by one party. There were disputes over the use of Glebe’s home ground at Wentworth Park**** and the departure of their top administrator (CHJ Upton) in 1920 seems to have exacerbated the situation leaving communications between the club and the league at an all-time low. Glebe felt that a strong bias had grown against their players when it came to judiciary matters and an attempt to stage a testimonial match for the great Frank Burge in 1923 was met by the NSWRL putting on counter attractions to deny the club of a strong revenue stream from the match. But it wasn’t all one sided. Glebe was awfully mismanaged through the 1920’s. There is a letter from a Glebe supporter that is held in the JC Davis Sporting collection at the NSW State Library that attests to delegates living out of the district (contrary to NSWRL regulations), an absence of quality coaching and a lack of action by officials over matters important to the club. In the wash up of all of this, Glebe were a targeted team who, once results went south, were no longer worth the trouble that they were causing the NSWRL. It is believed that from about 1927 “Balmain’s rugby league delegates had been quietly working towards Glebe’s elimination so the Balmain club could acquire Glebe’s territory in their efforts to recapture their old glories” according to author Max Solling. Of course this work would require garnering some support from the other clubs to turf the Dirty Reds. What Balmain offered in return for the rival clubs’ support is not clear, but it is believed that the targeted teams were Newtown, Easts and Souths. There were 25 votes on the NSWRL Boundaries Revision Committee which were comprised of 2 delegates from each of the 9 teams along with the 7 members of the league executive. It could be counted on that the 7 league executive members would be voting against keeping Glebe in the competition, meaning that along with Balmain, only two clubs needed to be convinced of the advantages of voting against Glebe’s continued involvement. Nobody knows how each club officially voted, but in the end Balmain got their way, with the vote finishing 13-12 against Glebe. So while the Tigers may have instigated the final nail it was a coffin that the Dirty Reds management seem to have built for themselves. In the end, what could have been the story of a successful team on the field, ended up being the story of a club that couldn’t get its act together off it. It’s probably a timely reminder to clubs like the Sharks (and others) that getting their house in order should be the first priority, because as Glebe has shown us, no matter your record on the premiership table, you’re a long time dead. *Instead I wasted my youth listening to Rage Against The Machine and NoFX albums, learning every line of dialogue from The Simpsons, trying to play guitar, and getting drunk – in some order. Probably that one. **They got the wooden spoon in 8 of their last 9 seasons. But they were amateur students playing against the big boys. You can’t really blame them for being so abysmal all the time. ****What I wouldn’t give for a nice 25,000 seat stadium at Wentworth Park today. If Glebe were still around I think this would be a possibility, and would also have to be a huge chance to be Sydney FC’s home ground as well. Enjoyed your article! My dad was a glebe fan.Can send you some of his stories? My dad was raised in Glebe,he told me of the dissapointment he felt when losing a match to Balmain.He and his mates would walk home upset after an away loss pulling fence palings off the local houses(though he said he only watched!!! ).He said Balmain were always jealous of Glebe and connived behind their back to get them outed.He never followed another league team for 30 years till moving to Summer Hill and started following Western Suburbs(who voted to keep Glebe in the comp! ).He became an ardent magpie fan and my whole family attended the 3 grand finals in the sixties that wests lost. Im glad he died before the magpie/tiger merger as he never forgave Balmain for what had happened all those year ago!. Thanks again and I will always enjoy hearing about the dirty reds! p.s. He did teach me the Glebe Footy Song. WHO ARE, WHO ARE ,WHO ARE WE? WE ARE, WE ARE,THE G.F.C. WHAT BEER ?GINGER BEER GOES OFF POP! Are you going to be following the Dirty Reds now that they are back Eric? Is it official? Are they back?? Great news. I live in the area and will look to head to some games!